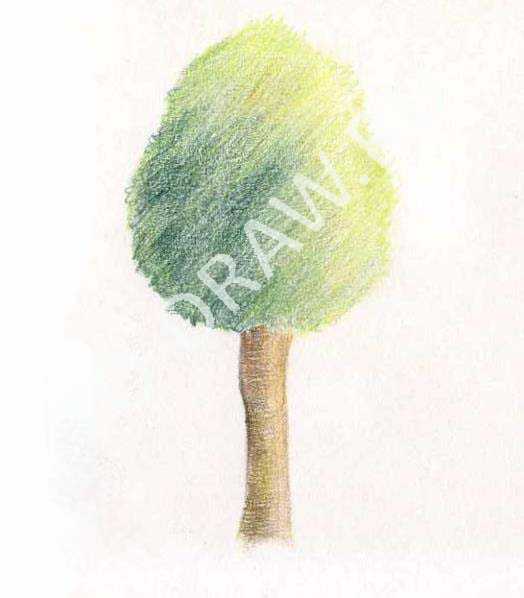 How to draw a tree - willow with colored pencils in stages ? 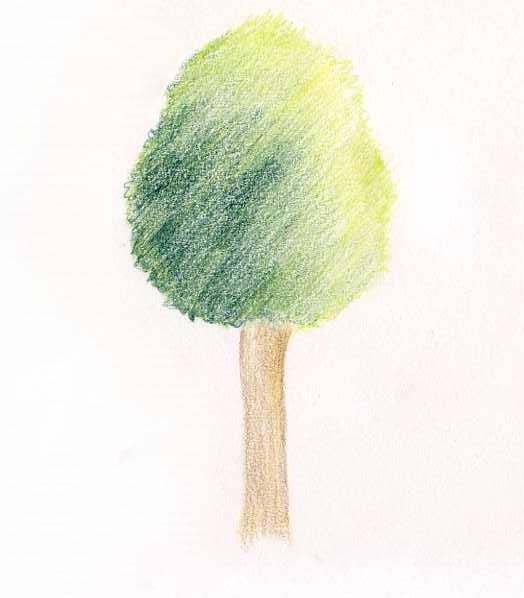 Trees are an ideal object for drawing. 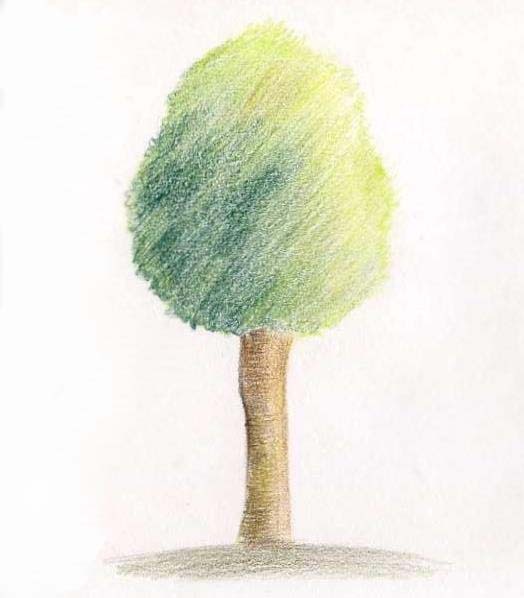 Today we will draw a tree with colored pencils. Draw the conventional tree - like ornamental willow, for example. Our task is to practice using pencils color mixing, stroking. 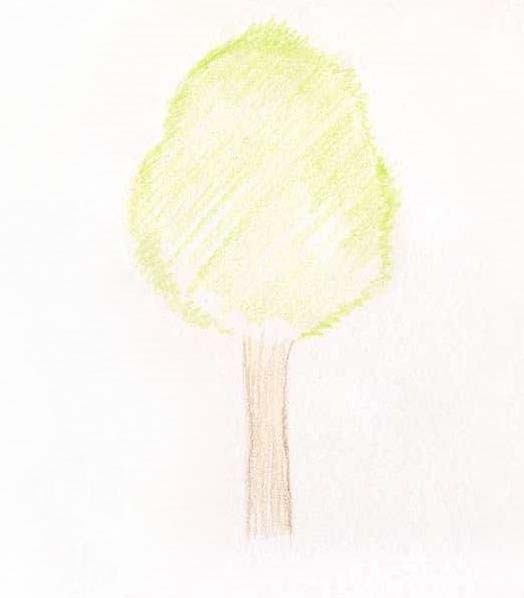 How to draw a tree may be different: you can write out in detail the leaves, and you can draw a color spot, as now we are going to do. For colored pencils suitable dense fine-grained paper, in order to put a few layers of graphite. When drawing a real object in the first place if you look at it. Consider how light and shadows fall, analyze the form. Break some part, on simple forms. 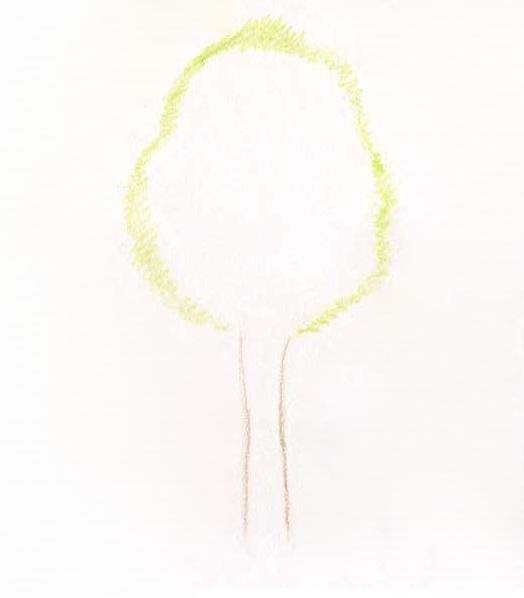 Drawing of any object in color naturally limited to a certain set of pencils. 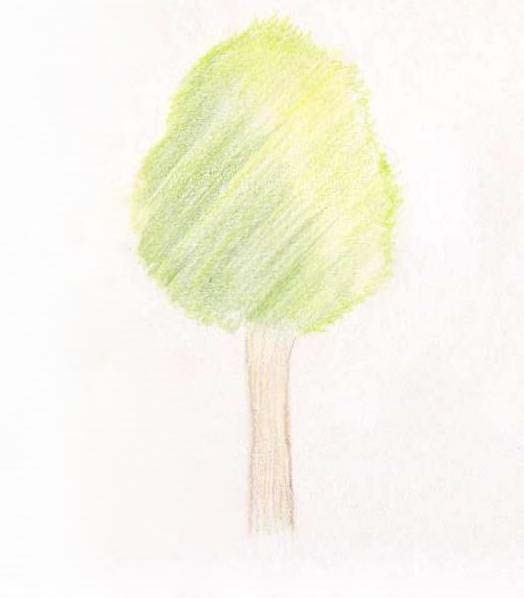 For wood we will need light green, dark green pencils, brown and yellow color and I also took the red-brown for the bark of a tree. First, outline the shape of the crown and trunk. Planned short zigzag continuous stroke, it turns out the contour of the crown like the leaves tightly to each other growing up and sticking out in different directions. The crown proposed light green, and the trunk is corfinium. 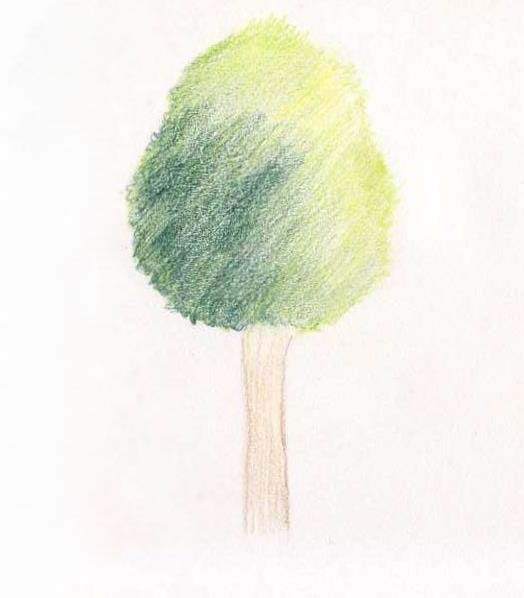 The pencil does not need to press too much - we'll gradually build up the color. 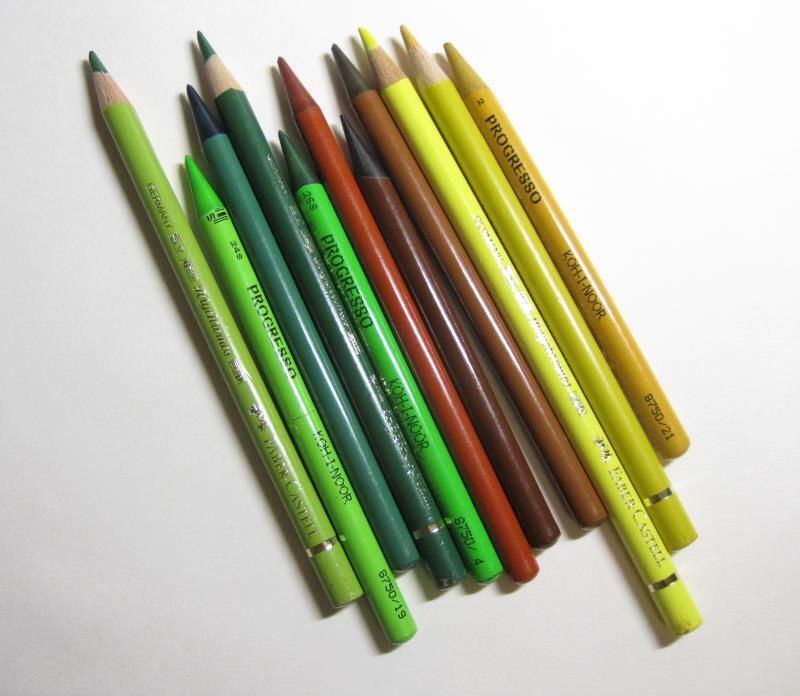 Will sastrawan crown yellow and light green, we shade heterogeneous, some of them more yellow, then green. Touch necrony. The barrel is filled with ochre and brown. We shade is not very tight, that one color was visible between the other and the colors visually mix. Continue to fill in the crown with various shades of green. We imagine that the light falls from above on the right. Accordingly, the illuminated part of the tree leaving more bright and yellow. In the lower left part of the crown to add cool colors, and in the upper right yellow-green and slightly brighter green. Continue to add saturation crone and fill color of the barrel. There prisutstvuut light and dark brown, ochre dark and light. The shape of the trunk, mainly on the left side, we will put a touch of dark brown, dark red and green. The circuit on the left outlined more clearly with the edge of the brown pencil. And let's ground our tree. Use brown and green shades. So, the tree is ready! We drew with You the simplest option to try to mix colors pencils, gradually build up the color and make the picture bright and saturated.